​Mr. 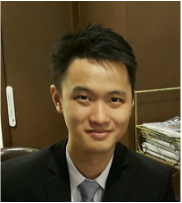 Alvin Cheung is a senior researcher in Our Hong Kong Foundation (OHKF) with research focus on social innovation and social impact assessment (SIA). He is one of the authors for social innovation research report published by OHKF in March 2016. The report provides series of recommendations to enhance the ecosystem of social innovation in Hong Kong. Alvin has been actively promoting social innovation to solve local social problems. He has engaged different local stakeholders, including government officers, business leaders and social innovators, to promote applications of SIA and facilitate communication between business and social sectors. Before joining OHKF, he was a lecturer in School for Professional and Continuing Education of the University of Hong Kong. He obtained his MPhil in Economics from the Chinese University of Hong Kong and BSc in Economics and Finance, with First Class Honors, from the Hong Kong University of Science and Technology.